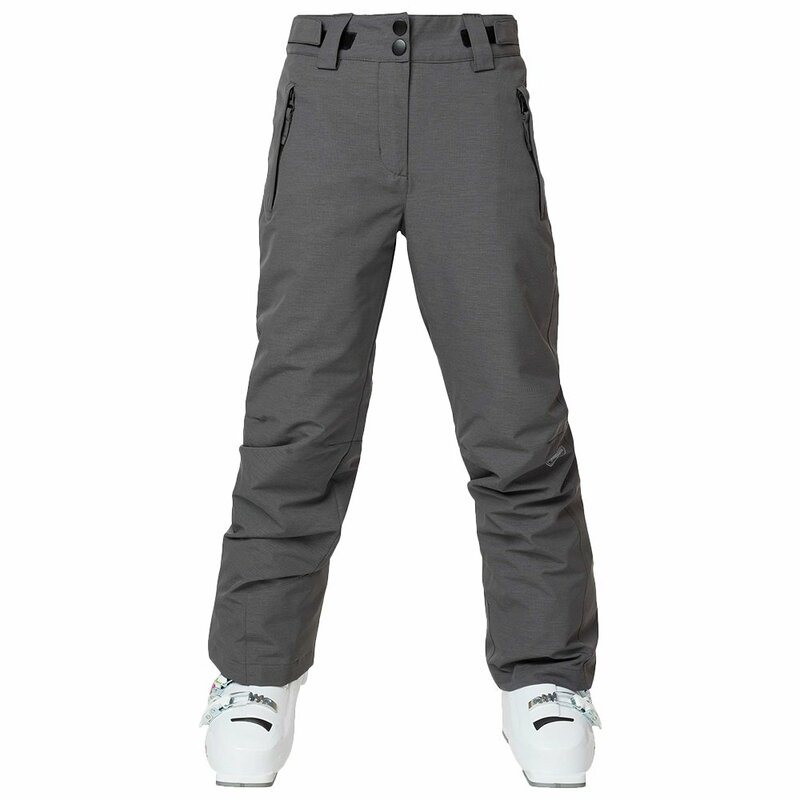 The Rossignol Girl Ski Heather Insulated Ski Pant is an alternate version of the super-popular Girl's Ski Pant, but with a more subtle design for girls who keep it low-key cool on the hill. These pants aren't baggy, but they provide plenty of space to move without restriction thanks to the classical, straight-leg cut. And if she's moving mostly through fresh snow, she'll stay dry and warm thanks to a 10K waterproofing rating and 60g of synthetic insulation - perfect for resort skiing. Whether she's on her first lesson or already cruising through double blacks, the Rossignol Girl Ski Heather Pant is going to keep her comfortably stylish all day long. The waist on these girl’s ski pant is higher in the back to provide extra protection. 60g of polyester insulation keeps legs warmer than traditional down, even when wet.